ITU believes in supporting and nurturing academic excellence and to date no student has been held back from attending ITU for financial reasons. Generous merit and need based scholarships are available. The tuition fee waiver will apply to the Top 3 students, in each discipline, for the following semester. Upon admission, the Top 3 Admits on the Merit List, for each MS program, are awarded a 100% tuition fees waiver for the first semester. If any student appearing on this given merit does not join ITU, the next candidate on the merit list will be entertained. This 50% tuition fee waiver is for students admitted to the Executive MBA in Innovation, Technology and Entrepreneurship (EMBITE). If an EMBITE student is a government servant, or a member of the armed forces, then they can claim this discount for the duration of the program, subject to NOC from their department. In case of the contract-based employment, the NOC will be required for each semester, whereas regular employees need to submit the NOC once. 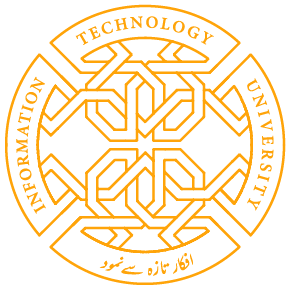 ITU scholarships may be terminated if a student fails to meet the eligibility criteria of the scholarship;or fails to meet the scholarship terms and conditions; or fails to maintain satisfactory academic progress; or has been suspended or excluded from a program; or has provided false, inaccurate or misleading information on the scholarship offer or after receiving a scholarship offer. With the aim of enriching our student’s experience, the ITU has introduced a Graduate Fellowship Program. These fellowships are merit-based to support MS students in a full time course of study. In addition to extending financial support to meritorious students, these fellowships are geared towards offering the students a platform to garner valuable skills and exposure through research and teaching assignments. These assignments shall enable an acquisition of a rewarding concurrent professional experience and capacity building, which will add substantive value to their subsequent undertakings. At the time of admission, top ten (10) students from the Merit List for each MS program may be offered Graduate Student Fellowships. These Fellowships may be offered to Ten (10) students according to the MS Admission Merit List and meeting Graduate Student Fellowship criteria. If any student appearing on this given merit does not join ITU, next on the merit will be entertained. An accepted Graduate Student Fellow will work in ITU as a Teaching Assistant / Research Assistant / Lab Assistant or any other relevant capacity. A Graduate Student Fellow will be working at ITU and will be given a monthly stipend PKR 60000. (3) courses / 9 credits. (2) S/he maintains CGPA of 3. The Graduate Student fellow will sign a bond to maintain a minimum CGPA of 3, though the qualifying CGPA is minimum 3 but it will be offered to Ten (10) Top students. The scholarship and student fellowship can be maximum for 2 years from the date of joining. ITU has introduced the Pre-Doctoral Fellowship Program for all doctoral candidates enrolled in a full-time course of study at ITU. Each Pre-Doctoral Fellow will be given PKR 80,000 per month with tuition fees waived off. Upon admission, the Top 3 Admits on the Merit List, for each BS program, are awarded a 100% tuition fees waiver for the first semester. This is applicable for the second admissions cycle at ITU. If any student appearing on this given merit does not join ITU, the next candidate on the merit list will be entertained. Please note scholarships may be terminated if a student fails to meet the eligibility criteria of the scholarship; or fails to meet the scholarship terms and conditions; or fails to maintain satisfactory academic progress; or has been suspended or excluded from a program; or has provided false, inaccurate or misleading information on the scholarship offer or after receiving a scholarship offer. UROP encourages research partnerships between faculty and undergraduate students, and provides ITU students an opportunity to work on cutting edge research and a platform to become innovative leaders. Maintain a minimum CGPA of 3:0 with no grade less than C in any course. Faculty members will advertise their UROP Openings on the website and invite applications from interested students. The student identifies his/her area of interest and seeks to join established research projects/labs by sending an application to the concerned faculty member. The student may pitch in his/her ideas to UCG (UROP Competitive Grants) committee and seek funding to pursue the idea under the mentorship of a tenure-track faculty member. The UCG can fund up to three student groups every six months, with amounts ranging from PKR 100,000 to PKR 500,000. UROPers can either work for pay or credit. If they opt for pay, they will get PKR 15,000/- per month as remuneration. If they opt for academic credit, they will get one extra credit per semester. Please note that a student can avail UROP for not more than 3 times during his undergraduate. For complete details please refer to the UROP document. Teachers and Employees of ITU, their spouses, children studying in any Department / Centre / Institute of ITU as regular students will be granted 100% concession in tuition fee for the duration of the program. Under-graduate and Graduate bonafide students of ITU. Family income upto Rs. 45,000/- per month. Students already availing any other financial assistance/scholarship from ITU/other institutes are not eligible to apply. Eligibility of the students will be assessed by ITU’s “Scholarship Award Committee” and will recommend potential candidates to HEC’s “Scholarship Management Committee” for approval. Application due dates will be announced upon closure of the Admissions Cycle. No applications after the due date will be entertained. 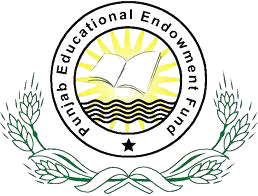 These scholarships are available from the Punjab Educational Endowment Fund (PEEF) for both graduate and undergraduate programs. ITU has the allowance for 100 PEEF scholars: 76 at the undergraduate level and 24 at the graduate level. Have passed Intermediate examinations held by the Board of Intermediate and Secondary Education (BISE) Punjab or the Federal Board of Intermediate and Secondary Education (FBISE), Islamabad in the immediately preceding year. Be students of a Federal Government Institution situated within the geographical boundaries of Punjab. Secure at least 60% marks in their Intermediate examinations. Not be availing any other educational scholarship during the course of studies conducted under the PEEF scholarship. Students who already hold a graduate degree (eg. MA/MSc./MS/M.PHIL etc.) are not eligible for this scholarship. Students who have passed undergraduate examinations in supplementary sessions are not eligible. Students who have passed undergraduate examinations with grace marks are also not eligible. Have obtained their undergraduate degree from either a government institution, a private institution or as a private candidate. Not be receiving any other scholarship for their graduate studies (except for the 50% remaining scholarship which could be compensated from other sources). Have minimum marks for passing the previous class as set by the respective Board / University / Institution. The applicant should be enrolled / to be enrolled on merit for study according to the following categories. In addition to all expenses of the students, vis-à-vis admission fee, tuition fee, transport charges, hostel/messing charges, registration fee, examination fee, library fee, lab fee, computer fee (except charity funds and refundable or non-refundable securities), a fixed scholarship according to the following categories will be paid. Cat-II Graduation Degree (of two/four year’s duration) from a Public or Private University or College/Institution affiliated with them, duly recognized by HEC. Degree from an Engineering University/Medical College registered with HEC as well as by the Pakistan Engineering Council or PMDC, as the case may be. Scholarship for MS/M.Phil/Ph.D Having at least 2.50 CGPA or 62.50% marks in Masters or Honors for admission in M.Phil / MS. There are 200 PEC scholarships available for students (Bachelors/Masters) enrolled in any engineering discipline in Pakistan. There are 100 for undergraduate programs and 100 for masters programs, Graduate Engineering Scholarships: PKR 4000/- per month and M.S. Engineering Scholarships: PKR 6000/- per month. Students with below 75% in exams or below 3 CGPA are NOT eligible to apply.